Trevor had a long weekend this past weekend and we originally wanted to spend a night or two in Córdoba (a town about 2 and a half hours away), but hotel prices were not what we wanted to pay.... so we made a really fun day trip out of it! Córdoba may be my new favorite city in Spain. I knew very little about Córdoba prior to actually going, but I am so glad we decided to venture to this town. Córdoba reminded us of Sevilla but much more like a small town. It had a small town feel, but it is still a fairly large city. Trevor and I both really loved it! 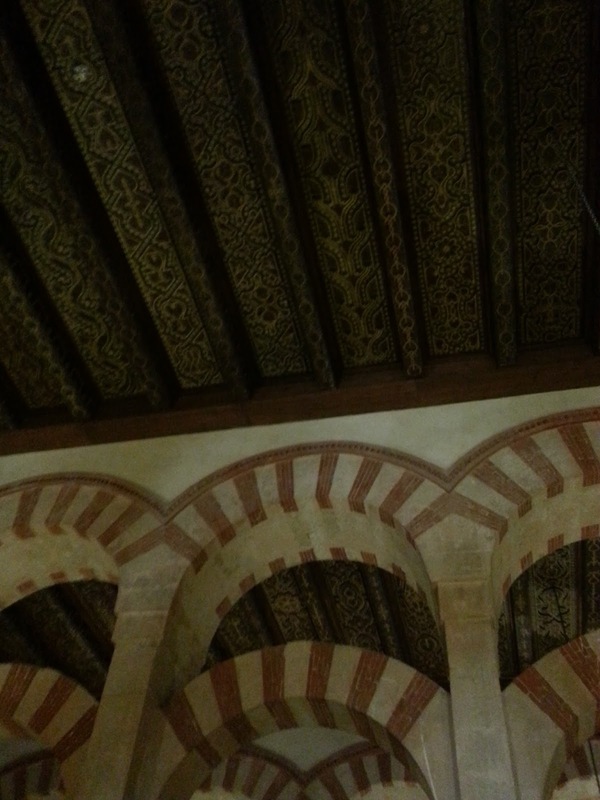 Córdoba's claim to fame is the Mezquita, an unbelievable, incredibly well preserved mosque that dates from 784 AD. The Mezquita is known not only for its architecture (the horseshoe arches are unreal), but also because inside this ginormous mosque is a Catholic church. So yes, you can celebrate mass inside a mosque. 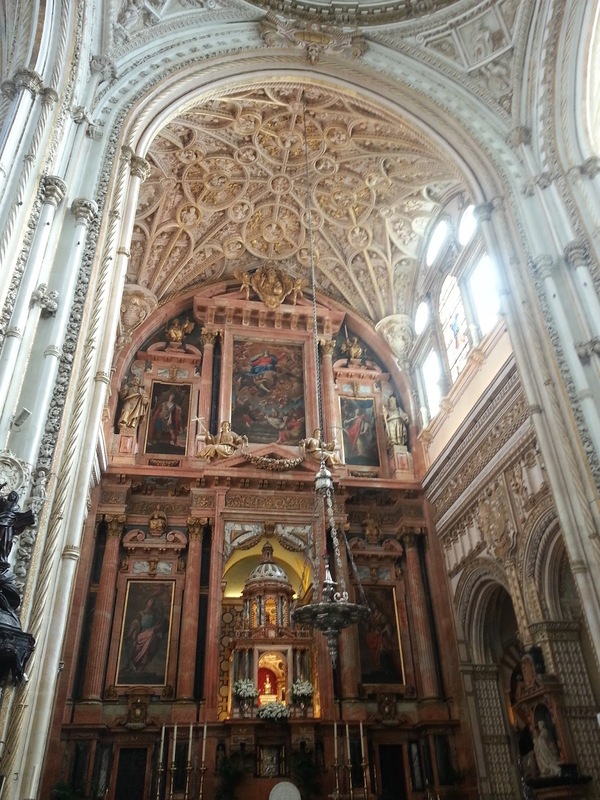 This was our first stop when we arrived in Córdoba and wow, is it impressive. I am not sure my words will do justice.... But walking in and seeing the colorful arches almost stops you in your tracks -- just rows and rows of gorgeous horseshoe arches. As you walk around, you'll find the high altar of the cathedral built inside. It is not hard to miss -- so much larger and more grand than the rest of the mosque but almost seems out of place among the arches and lower ceilings of the surrounding building. 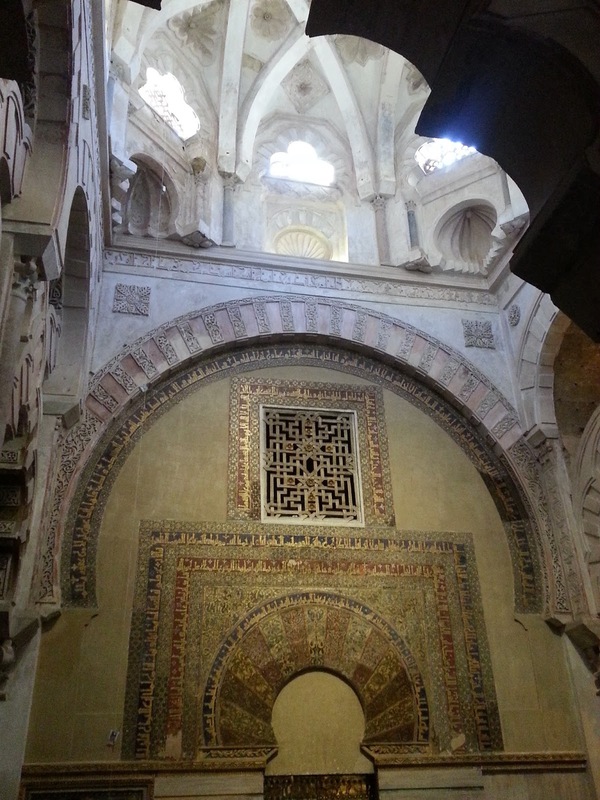 We wandered around for a good while, simply enjoying the Mezquita. We then made our way down to the river to walk across the Roman Bridge. This bridge was first built in the first century and has been added to throughout the years. While not the most exciting thing to look at, it does allow for some gorgeous views of the city. 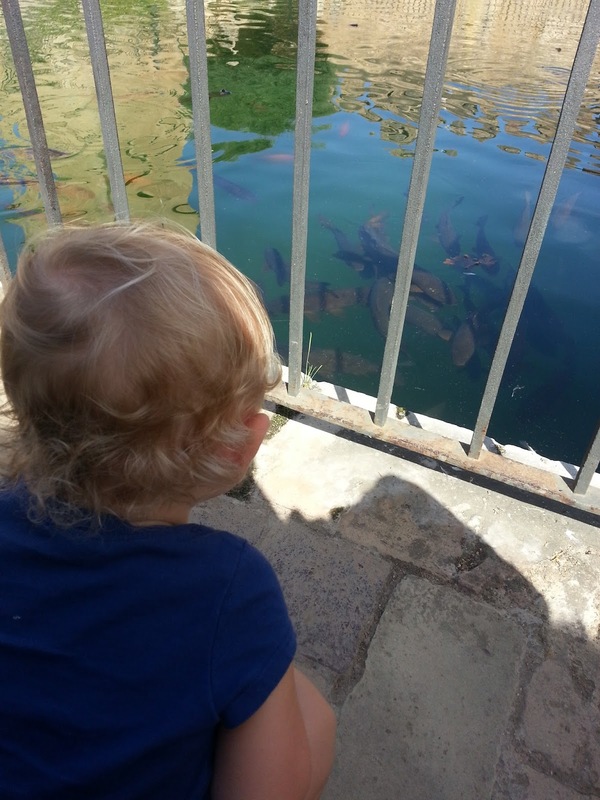 Our Peanut needed a place where she could be a toddler for a bit, so we went to the Alcázar de los Reyes Chrisianos. 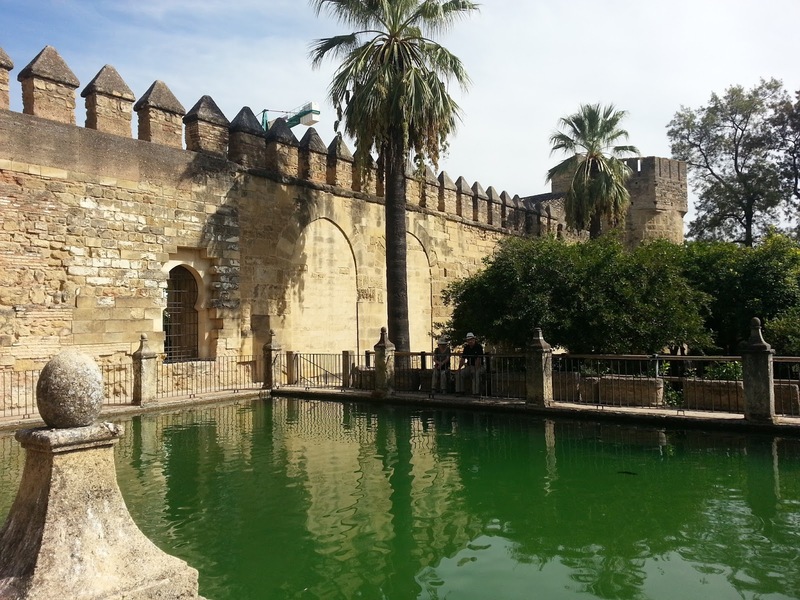 We quickly ran through the actual alcázar (essentially a castle, fortress) -- we were pretty underwhelmed but we've also seen the alcázars in Sevilla and at the Alhambra both of which are much more impressive. 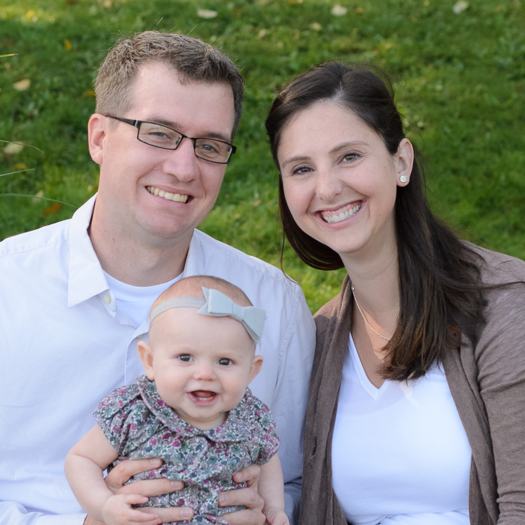 However, the gardens were gorgeous and the perfect place for Serafina to run around (and sit and play in the dirt). And then sadly, it was time for us to head back to Rota. Trevor and I could not believe how much we enjoyed Córdoba and we will for sure take a trip back -- hopefully this time spend the night to see what else this great city has to offer! 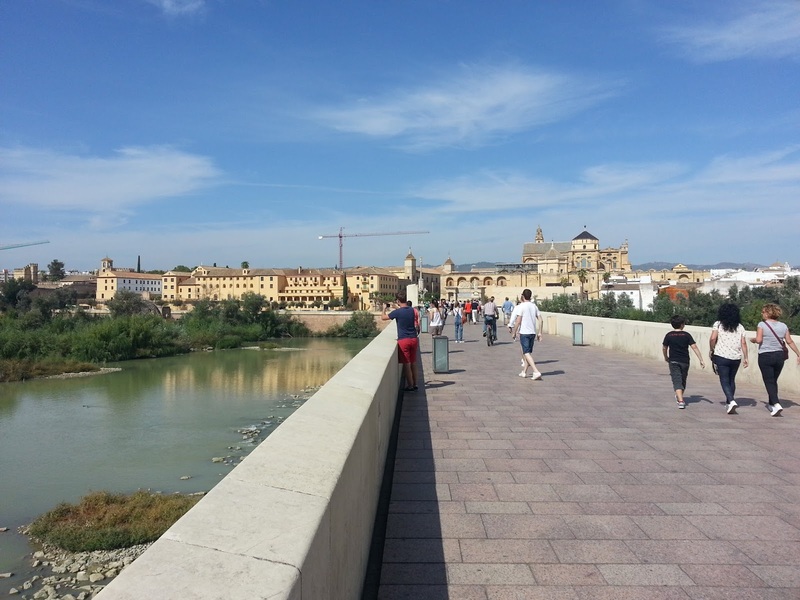 Córdoba is a very walk-able town. We opted to park near the Mezquita which may be slightly more expensive than other lots but it was in a great location and was under €10 for the whole day so not bad at all. We used a stroller instead of a carrier -- it was fairly hot (almost 90 degrees) and we knew that throughout most of the day, the stroller would be better. The only place we had difficulties with the stroller was at the alcázar but it wasn't terrible. The little shops within the Jewish Quarter are great for window shopping or buying (we were told the area is known for their silver jewelry). Just like the majority of Spanish towns, there is very limited "take away" food (or none at all), so as usual we packed a lunch and snacks (we ended up eating our lunch as our dinner on our way home since we ate lunch at Bar Santos). And also like the majority of Spanish towns, everyone was very sweet and friendly towards Serafina. The whole area seemed very kid friendly (lots of places to walk without cars coming down the streets). 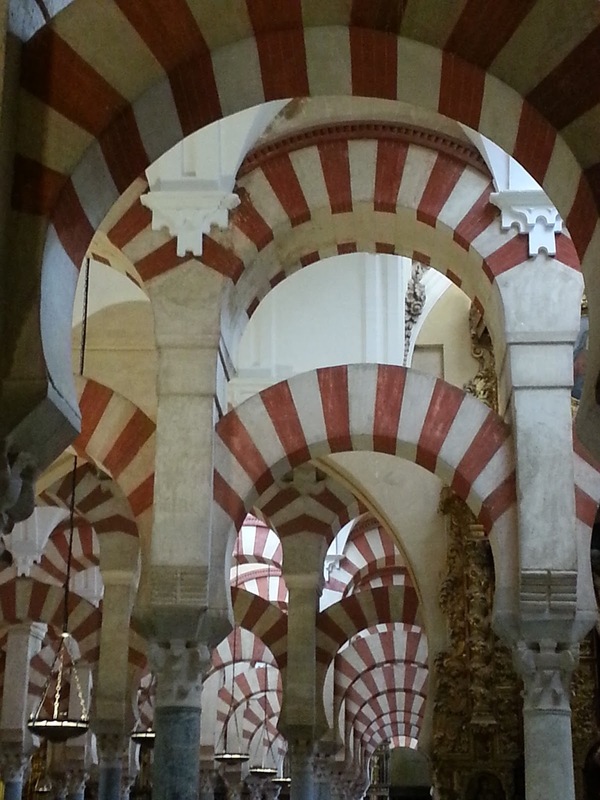 I would recommend going to the Mezquita first as it can get very crowded with tour groups and other tourists. 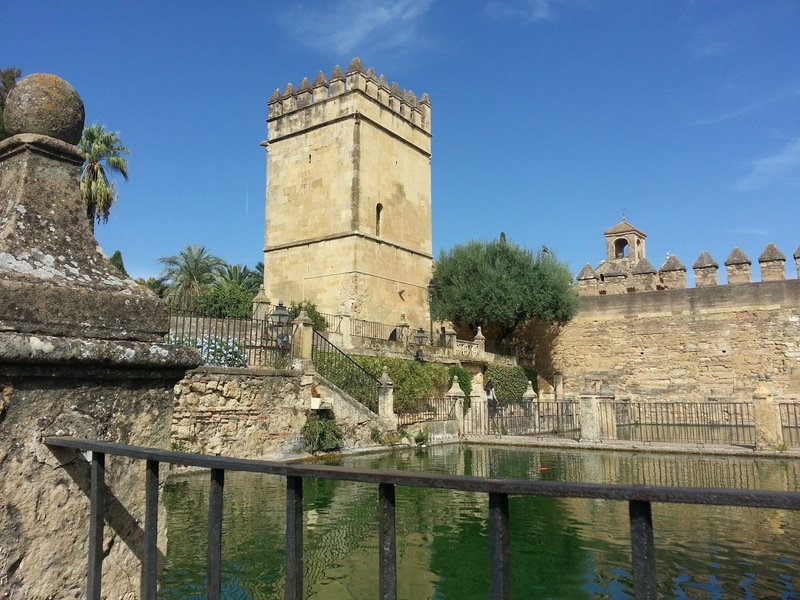 And most importantly, just visit Córdoba!